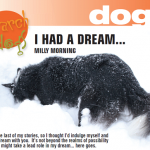 Air Scenting Search Dogs search routes, paths and areas looking for human scent particles. They do not discriminate scent e.g. they do not look for specific people but will look for anyone that is in the area. 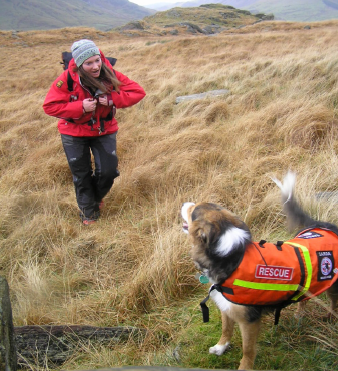 Once the dog finds a missing person they will return to their handler and ‘indicate‘ with a bark or by jumping up at them. 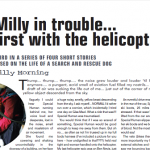 Then the dog will take their handler back to the missing person with a ‘show me‘ command. 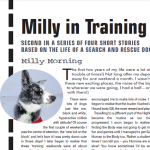 These stars of these articles are search dog handler Heather Morning and search dog Millie.